RoundCube is simply one of the best open source webmail application available today. Though this application has been created long back and the updates are little bit slow, RoundCube powers several webmail for several companies, including my own DesLabs. My favorite reason to choose RoundCube is that I can easily customize the user interface of the application to show my company logo and I can give several capabilities to my users without the RoundCube name. Something that we might not like is the lack of an administration panel at the backend where we could have easily manage the features and settings for our webmail. One of such problems I faced when I wanted my webmail users should be able to change their passwords. I am using BlueHost as my web host and create and manage unlimited email accounts under several domains. By default RoundCube don't give the flexibility to allow users change their own passwords. So here is how to allow RoundCube users to change their own passwords. Tables should be used only when you are actually representing tabular data. Yes, we know that. But by default tables are not so much usable unless we put some addons and make tables usable. One of the best ways to make tabular data usable is to color alternate row backgrounds with different colors so that users don’t get lost while looking into long set of data. This not only helps users to remain on a specific track but also helps them interpret data precisely without generating much visual noise. You can checkout the Demo of Alternate Table Row Coloring here. You can simply copy the following code and paste into the <head> section of your page. As you might know, a website or webpage can be easily password protected from unauthorized access through several methods, easiest being the login screen where users need to enter their valid login credentials before they can access any page in a website. But in this case users can still easily access resources like images, scripts or other non-executable files from your site. If you want to password protect some particular webpage or directories or some specific urls within your site then the strongest protection to your webpage is the server side authorization by .htaccess. So many of us are now using online Google Documents Spreadsheets as an alternative to Microsoft Office Excel or many other popular desktop based software. Yes we get several advantages when we go online. Real time data synchronization and powerful spreadsheet sharing options has really made Google Docs Spreadsheets a success. Whether you stuck onto http://docs.google.com/spreadsheet/ or http://spreadsheets.google.com/spreadsheet/, it is the same. Now while creating Google Docs Spreadsheets we always want to have a drop down list of data validation menu from which we can choose some predefined data to fill in a particular column of cells. To have those Google Docs Drop Down lists in your Spreadsheets you just need to add Data Validation to that particular columns. Let us take a sample Google Docs Spreadsheet like this. 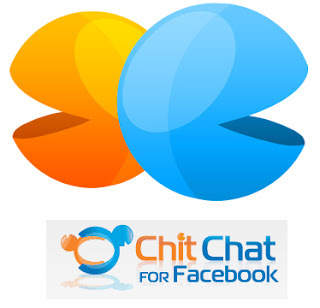 I know you may have heard of ChitChat.org.uk which has been renowned for providing excellent free Facebook chat service for Windows users. You might have also used their free Facebook chat messenger for Windows. Now they have launched their updated service for BlackBerry users who can now chat on Facebook directly on their mobile phones. Though their Facebook chat BlackBerry application is a paid one but it’s worth every single penny of it. At just $1.99 ChitChat for BlackBerry comes with lots of useful and amazing features. Update: Chit Chat for BlackBerry i.e. Facebook messenger for BlackBerry is now available for free. "Go to top" is a very popular link that we use to put into web pages when pages tend to be long and users always need to go back to the top of the page to avail the options. Users can obviously go back by scrolling up and up and up. But we can also provide them with an option at the bottom of a page, clicking which will automatically take the user to the top of that page. The most natural and effective way to do it is to place a "quick link" or "inpage link" which should be linked to the ID of the topmost element on the page. Blogger or Blogspot has introduced several useful Mobile templates which can dynamically change your existing blog into mobile phone optimized site. This is something, I am sure, a big slice of Blogger users were waiting for long. Now they can be relieved to have a very easy way to transform their blogs into mobile compatible websites by just choosing an option to enable it. How to Turn on Mobile Templates for Blogger Blogs?